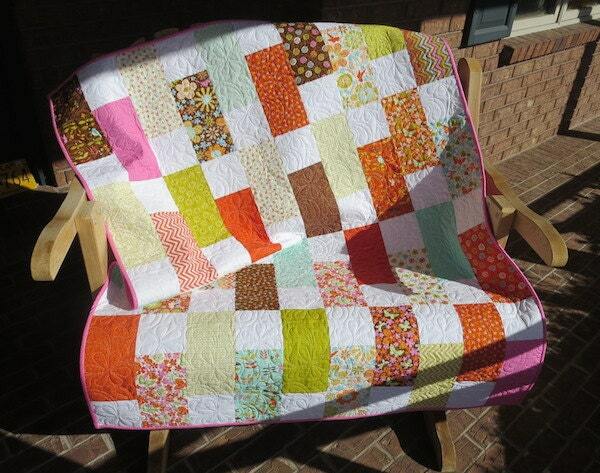 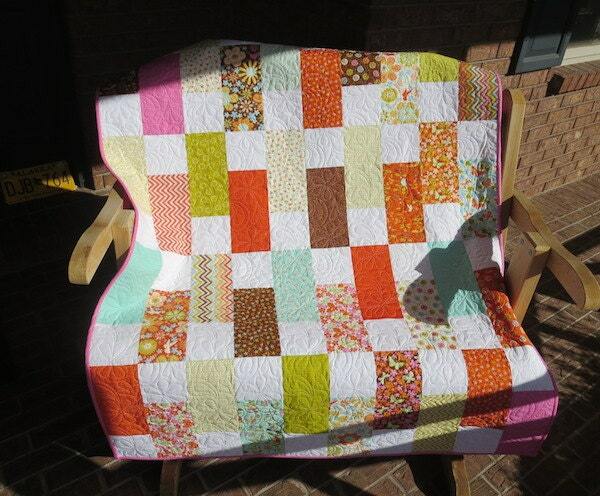 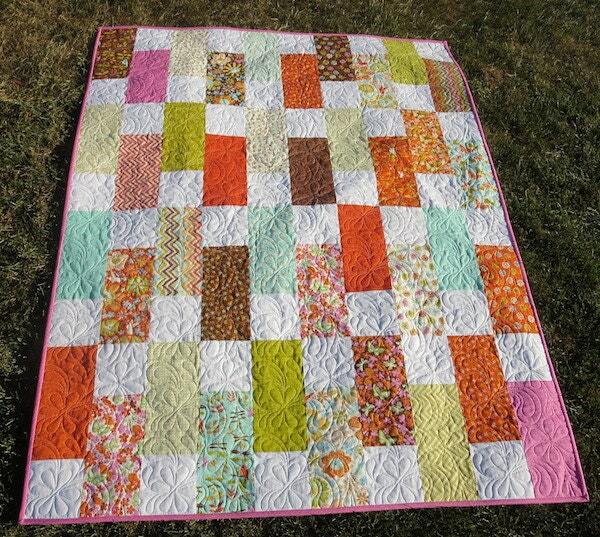 The quilt was made from Moda fabrics from the Wrens Friends line. 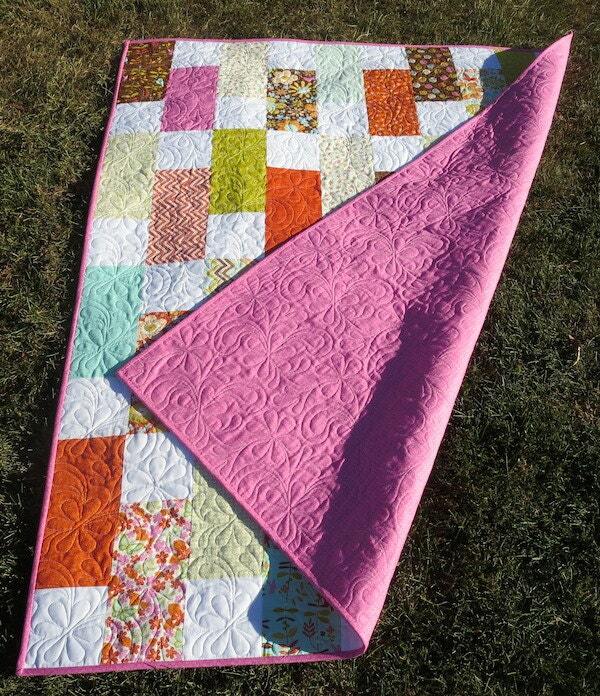 I love how bright and vibrant the colors are in this fabric collection. 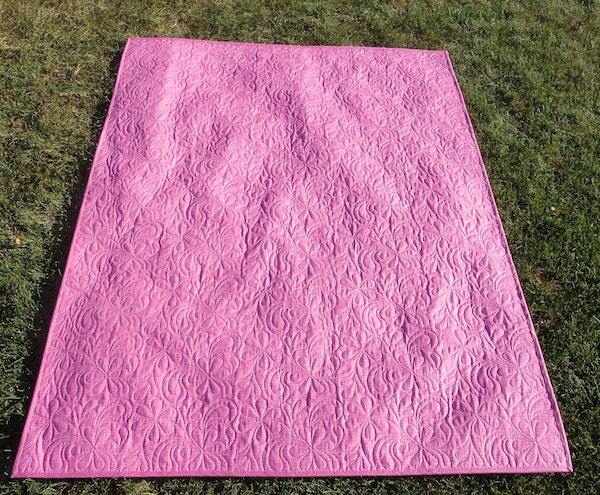 Size: Approximately 56 x 45"